Quick comment. The crew is amazing and their breakfast cooking was excellent. However, one suggestion. Your signature breakfast dish should be "Western" omelette. Very easy, make 4 egg omlette's and then split to serve 2. That way, everyone could get served in a short time. The other suggestion, how about making the helicopter experience better. 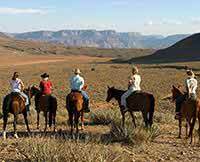 Allow for an extra 15 minutes to each flight, sort of exploring some of the Grand Canyon and lower Colorado River, before setting down, to get on the rafts. It would really add to the trip even if you had to charge a few more dollars. 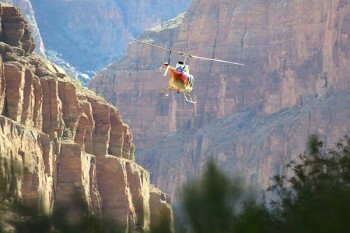 The helicopter ride to the rafts was one of the highlights of the trip and thrill of going down in the canyon.